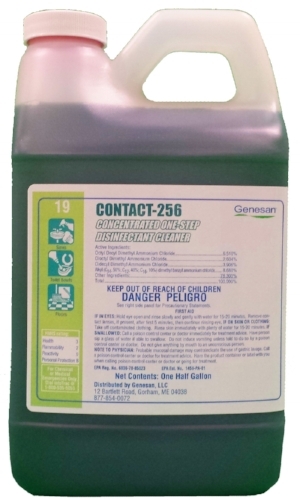 An alkaline, hospital grade, broad spectrum disinfectant concentrate. Fragrance-free. An excellent cleaner. Meets CDC standard for effectiveness against non-enveloped viruses such as EV-D68 and Ebola.